I received an email moments ago from a right-wing source calling the present economy the Obama Great Depression or the Great Depression 2. If you recall your history, the first Great Depression is forever associated with Herbert Hoover who was in office when it began in 1929. 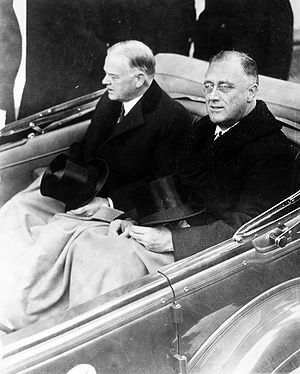 It did not become FDR’s Great Depression in 1933 because FDR tried to work the US back into prosperity despite opposition from the GOP and the US Supreme Court. What we currently label the Great Recession and some in the GOP want to relabel as the Obama Great Depression began in 2008 under George W. Bush. Obama has been trying to turn the economy around and has had limited success, success limited by the constant GOP obstructionism.